You can expect a welcoming environment, passionate worship, a safe and fun space for kids, and a message that will leave you with practical steps each week to see your life begin to change. Let’s take the next step together! you are the reason go church exists. Your life, your potential, and your next step in knowing God is why Go church is here in stapleton. Whether you have followed God for years, or are asking questions for the first time, this kind of journey happens best together. YOu're invited to explore gochurch.today and take the next step with us. Thank you for signing up to stay connected. We will take it from here! During their last meal together, Jesus dropped a hard and revolutionary truth on his disciples. Leadership isn't a step up, it's a step down. Discover how this timeless lesson can apply to your life. Say no to a "me first" mentality and be willing to serve. Have you ever felt like you're just a number? Maybe you have felt that way with God. Discover a powerful personal truth as Jesus heals a woman who was sick for a long time. Learn the value of seeing people the way that Jesus sees people. No matter who you are or where you've been you are welcome at Go Church. Nick serves as the Lead Pastor of Go Church. He is a destroyer of chips and salsa, was surprised by twins, and graduated from the University of Oklahoma. 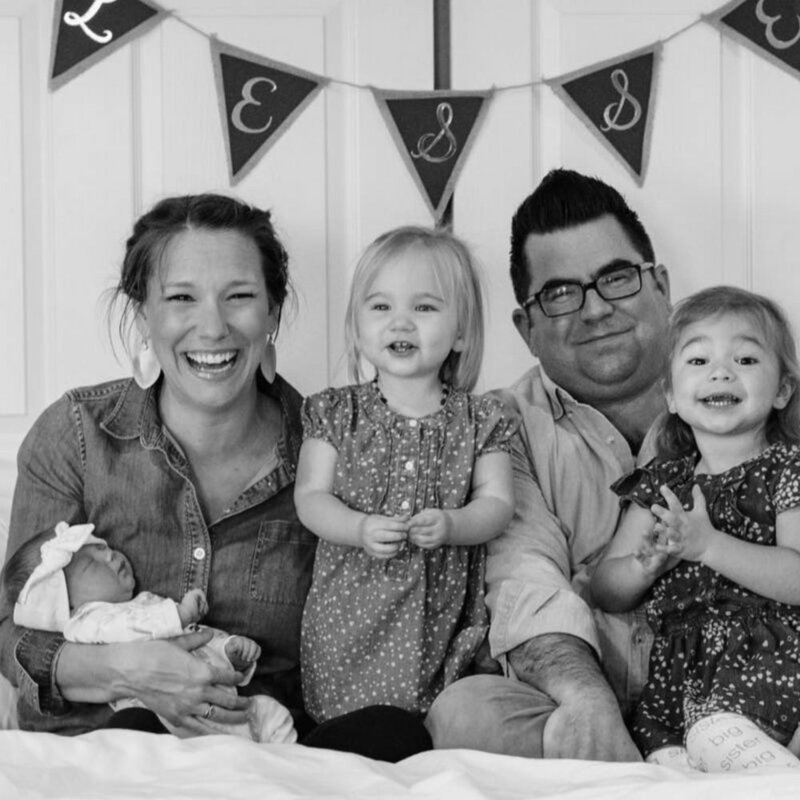 Fast forward through theological studies, 12 years of directing college student ministry and missions work, now Nick and his family and a phenomenal team of people are starting Go Church. Most drank drink? Black coffee, if it's time for a treat I'll throw in some steamed breve, raw sugar, and 10 donuts. Most intense TV binge? I watched every season of House during the first month of my twins being born, I still remember very little about that month. End on a spiritual note. Jesus has revolutionized my life and called me to be a follower - a disciple. As a lifelong learner I'm passionate about learning how to live more like Jesus every day and every year. Faith is the sweet spot between learning, living, and laughing! Becky serves alongside Nick full time at Go Church. With a background in special education she is passionate about healthy family development and making sure kids are laughing while they learn. Her commitment to God and family shines through in all areas of family ministry at Go Church. Most played music genres? So many. Some artists from my Favorites Playlist are James Taylor, John Denver, Journey, Jesus Culture, Alan Jackson, and the Eagles. Outdoors or indoors? I'm totally an outside girl! Just give me my kiddos, a playlist, a dirty chai tea latte and I'm ready for anything! End on a spiritual note. Seeing my kids discover Jesus means everything to me. In the Bible it's so clear that children loved Jesus and I want the kids in Stapleton and Denver to know Christ loves them and has big plans for their lives! stories matter at go church. check out what god is doing in and through some of the people in our community. Imagine what could happen if you really connected with your neighbors. Jenna took a risk, walked over to Danielle's place, and God started something special. Let their story inspire you to love your neighbor like never before! Josh Harvey talks about one thing he loves about Go Church. Find your "1 Thing" this Sunday! Joe Phillips shares one thing he loves about Go Church. Find your one thing this Sunday! “Go Church is the pet I never wanted. It’s like when your significant other decides to get a pet and you want nothing to do with it… Absolutely nothing to do with it! I wont walk it, ok I’ll walk it. Don’t let that thing on the couch. Jump to that thing on the couch… in your lap. We are not buying that thing a sweater! Jump to you and your dog with matching sweaters.